Our goal at Old Town Dental Center is to provide our patients with affordable, excellent and individualized dental care in Bremerton, WA, while maintaining a comfortable atmosphere for you and your family. We use the safest dental techniques and state-of-the-art equipments to ensure you get the most high-quality dental experience and the best results. We also provide comprehensive dental treatment for all ages! 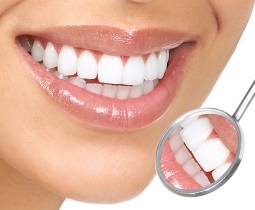 Our mission is to help assist you in improving and maintaining your overall oral health. We want you to be able to speak, chew, taste, and smile without complication for a lifetime. Our office and staff are trained to help you not only feel your best, but look your best with a great smile. We offer many cosmetic services that can help you enhance the esthetics of your dentition. Consider Invisalign to get the beautiful straight teeth you’ve always wanted — without wires, brackets, and bands. Dr. Russell provides a complimentary consultation to determine if Invisalign is right for you. Invisalign uses a series of invisible, removable, and comfortable aligners to move and straighten your teeth. 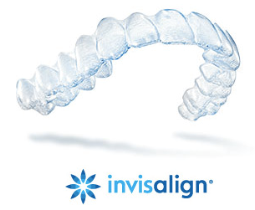 Invisalign aligners are made with 3-D computer imaging technology and have been proven effective in treating many types of malocclusions.